my apologies in advance, I drank too much beer this weekend. This entry was posted on Monday, April 9th, 2012 at 1:28 am and is filed under Uncategorized. You can follow any responses to this entry through the RSS 2.0 feed. You can leave a response, or trackback from your own site. Yea. Mona’s time to shine. 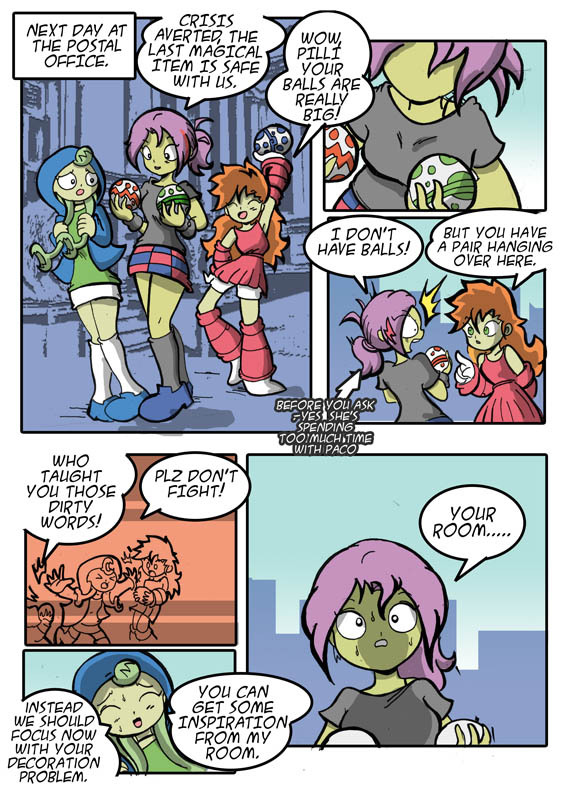 nothin’ like a good balls joke.. it’s sad they censored them all out of Dragon Ball.. there were so many. Ummm ok pilli neing greenish was explained, mona has a reason to, but why is Jinx have greenish skin now?!? !